Welcome to Fairfax, a premiere golf community in Edmond, Oklahoma! Centrally located, the estates are super convenient to I-35 from Covell Road, making commutes to all parts of the region fairly quick. 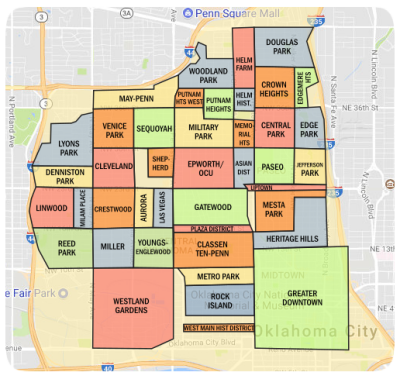 In fact, one of the best reasons to look into Fairfax, Edmond, OK real estate is because it affords residents the opportunity to live in a quiet, safe and friendly small community while still having access to all the benefits of a major metropolitan city. 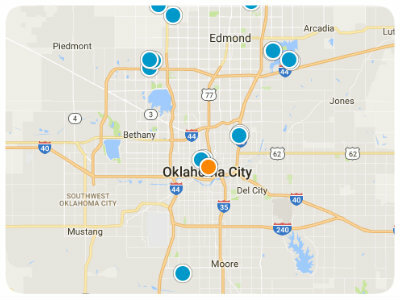 Because of the proximity to Oklahoma City, it is convenient to enjoy an OKC Thunder game or a night of arts at the Civic Center. Major employers are also minutes away. In Edmond the University of Central Oklahoma employs more than a thousand residents, as does Oklahoma Christian University. Oklahoma University Medical Center in Edmond and Integris Health are also large employers available immediately within the city. These schools and hospitals are all very convenient to the Fairfax subdivision. Real estate for sale in Fairfax, Edmond, Ok is attractive on so many levels. The community offers prospective home buyers a variety of great choices. There are three home and lot types to choose from which include; the Gardens, the Estates and Lamond Hill. The Gardens and the Estates have properties available. If a home seeker would prefer to custom build a home there are plenty of lots available overlooking the golf course. The area known as Lamond Hill is a gated access portion of the community. There are many splendid amenities for residents of Fairfax Estates.The Golf Club is a city favorite and has been celebrated by area residents for several years. Fairfax Golf Club offers an 18-hole course, a pro shop for any golf essentials, and a newly renovated practice area. There is also an aquatic center and community sports areas, including a full size soccer field. Residents appreciate the lush, green landscaping, with many trees and rolling hills, park areas and even waterfalls. Importantly to families, the subdivision is served by the Edmond Public School District. This school district is considered to be the best in the entire metropolitan area. Rated as superior, high schools have an extremely high graduation rate and many students have achieved National Merit Honors. The schools alone are good reason to consider this community just north of Oklahoma City. Edmond is a great city in which to live. The population is well under ninety thousand, so while it isn't a small town by any means it is small enough to retain its Oklahoma friendliness. The community members here are engaged and the city does an excellent job keeping the area clean and safe. If you are interested in a relaxing home environment in luxurious surroundings and quick access to all the amenities one could possibly need, check out Fairfax Estates in Edmond, Oklahoma. The Home Owners Association is hard at work to maintain the value of the neighborhood, guaranteeing a sound investment.